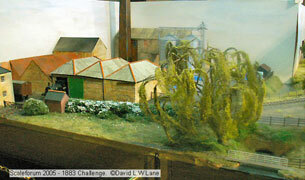 A small but intensively worked industrial complex showing a set of lines worked off a mainline somewhere in Britain. 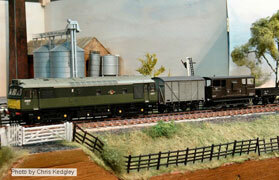 The private line has its own shunter to bring wagons in and out of the sidings. The nature of the industry is still to be decided. Possibly an engineering works, mill,brewery, animal feed or manufacturing company. 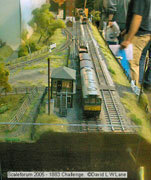 Due to the nature of the site only short wheelbase locos and wagons can be used resulting in much shunting between exchange sidings. The period is 1950's to 1970's allowing both steam and diesel. It is inspired by colliery and industrial lines in Nottinghamshire, Derbyshire and Yorkshire. Structures will be based on real places.